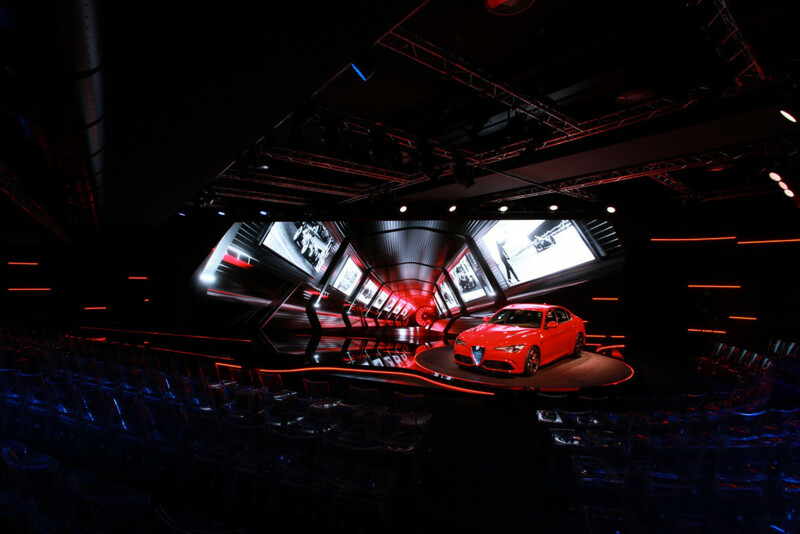 On the occasion of the Alfa Romeo brand relaunch and of the preview presentation of the new Giulia Quadrifoglio model, Simmetrico developed the concept, implemented the design and set-up and managed the presentation event. 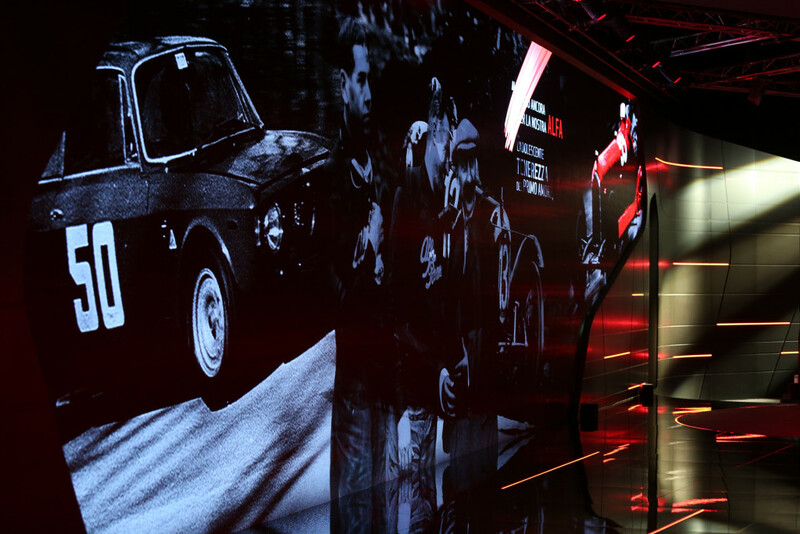 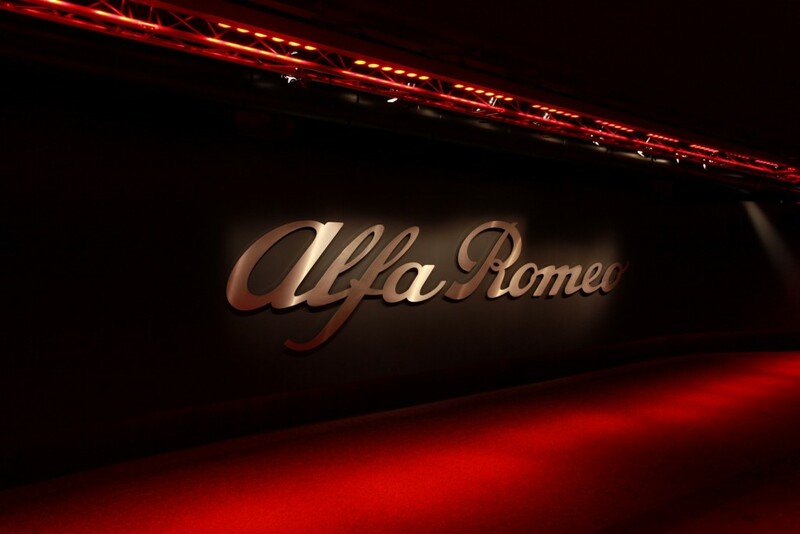 Alfa Romeo and the birth of the Giulia Quadrifoglio model were expressed through the metaphor of the wind tunnel, a space where the dream of speed takes shape, a journey that used photos, images, videos and 3D environments, to trace the brand from its origins to the preview presentation of the Giulia Quadrifoglio. 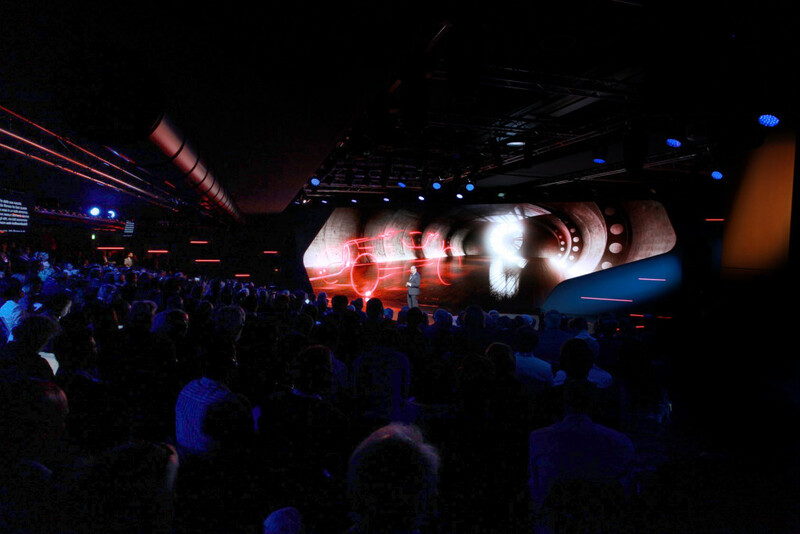 The various types of wind tunnels, recreated in 3D, deepened the perception of the visitors beyond the surface of the screen. 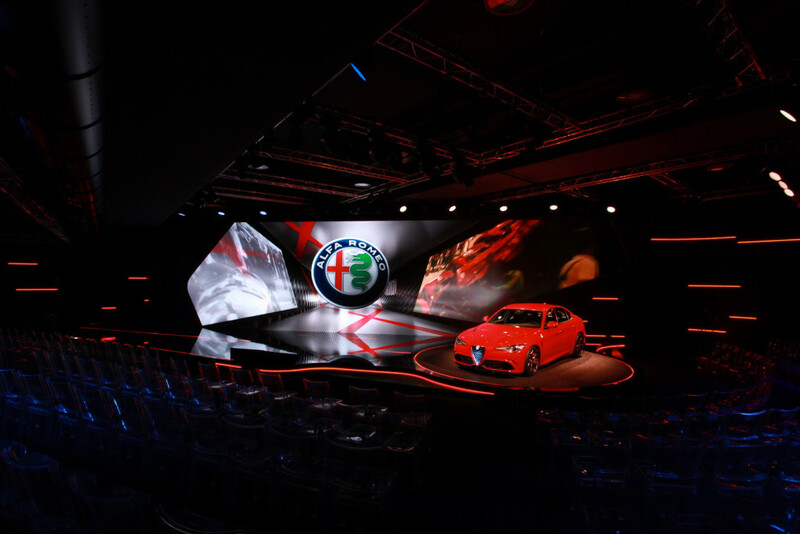 Alfa Romeo made the driver the focus of the narrative, with technical characteristics, mechanical and electronic features of the Giulia Quadrifoglio expressed through the power and elegance of a contemporary dance performer who also brought forth the emotional aspect. 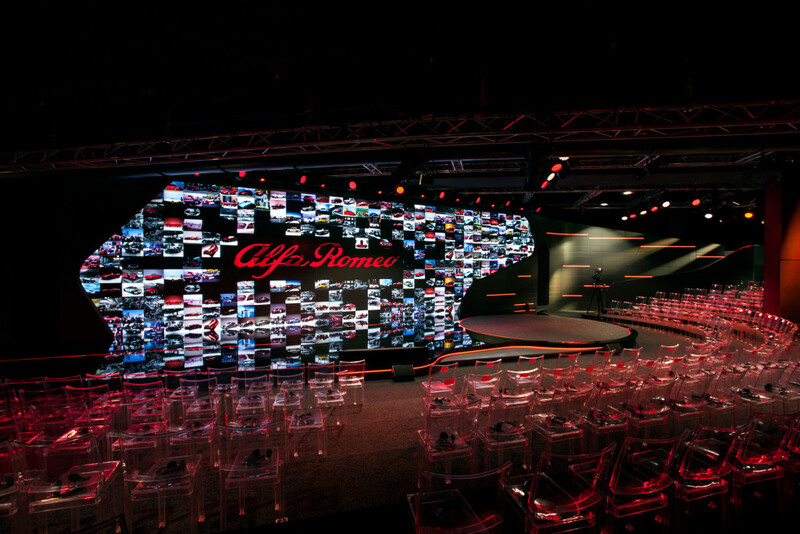 Specially produced videos highlighted the beauty of Italian design. 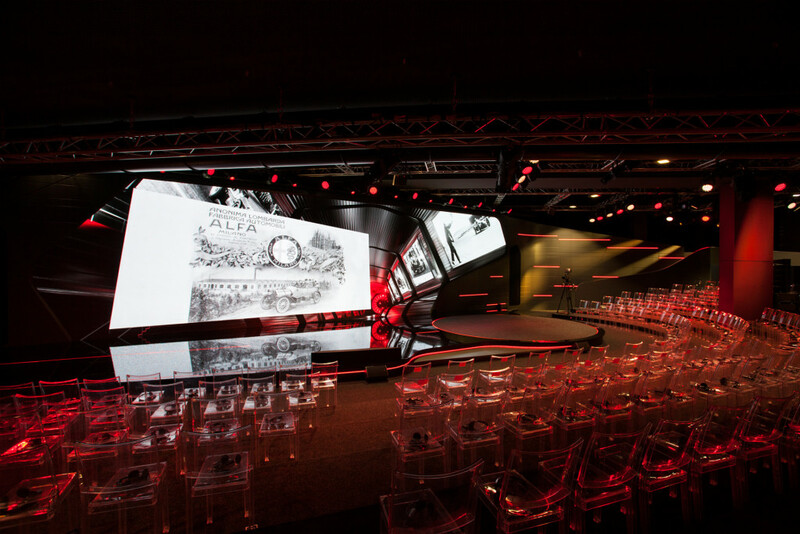 Simmetrico designed a stage set featuring a large LED screen that could accommodate the 460 guests. 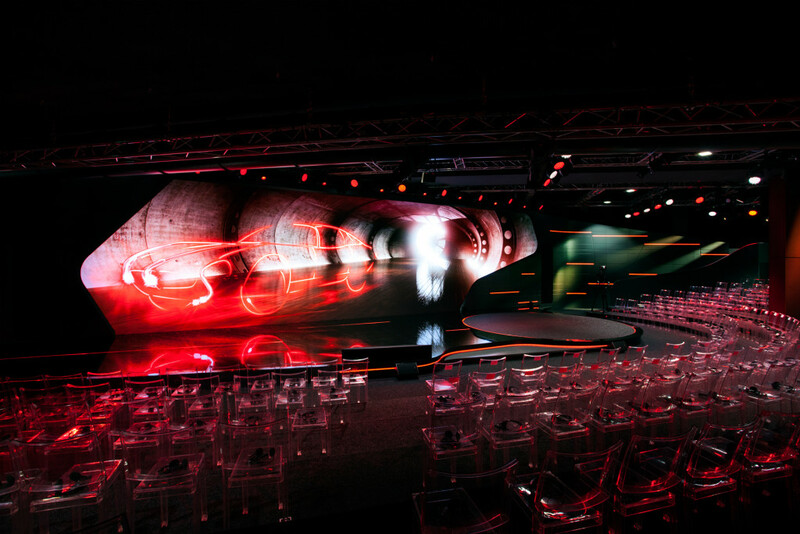 The wooden stage painted with an anthracite grey varnish was brightened by embedded LEDs; the rotating podium was made of resin reminiscent of the texture of asphalt. 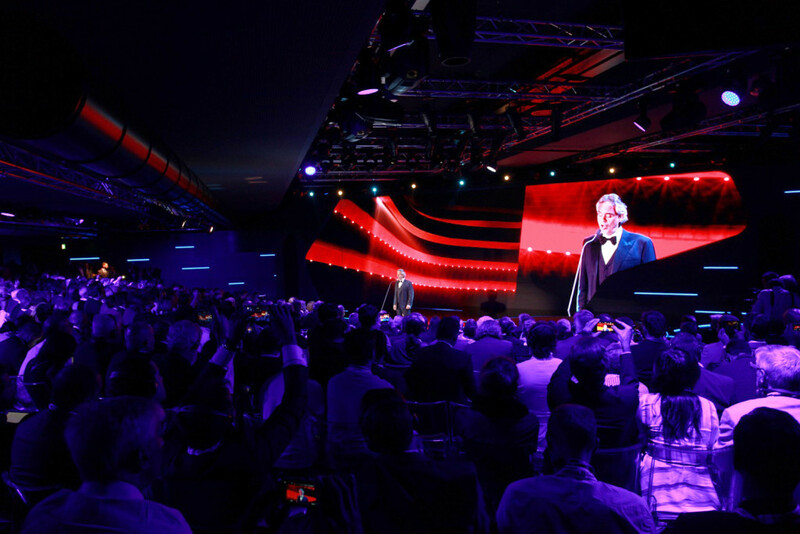 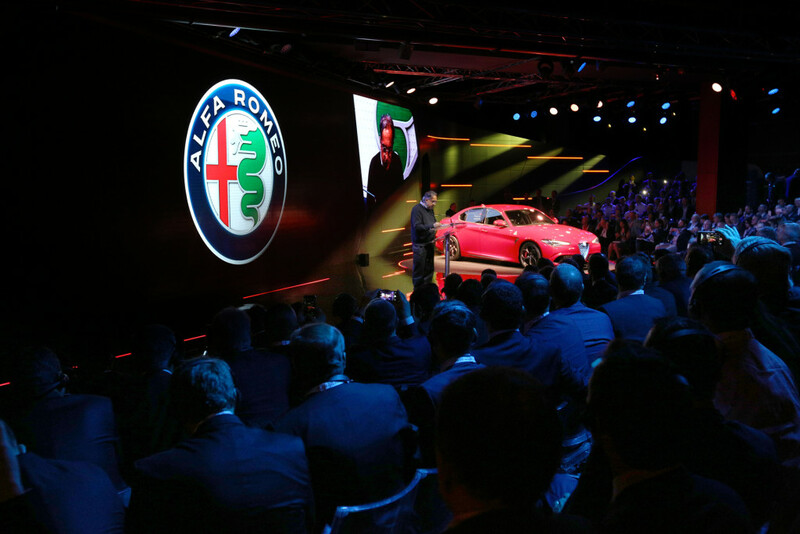 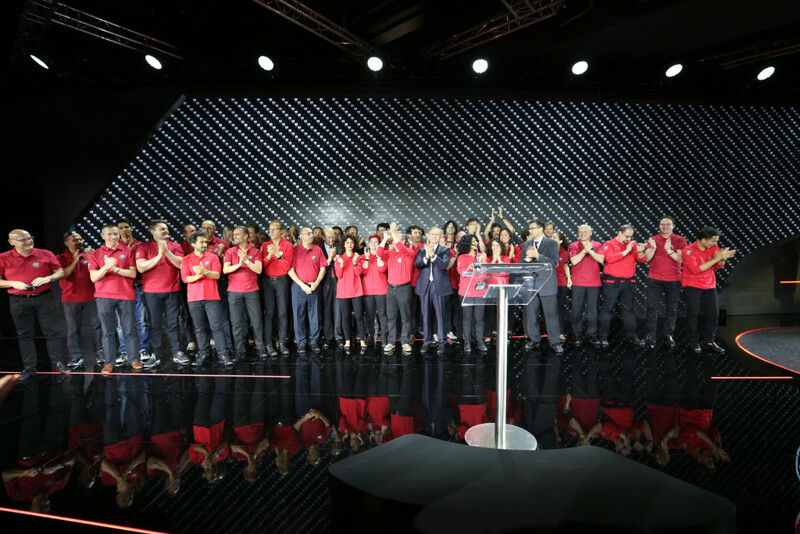 The reveal of the car was accompanied by a live performance by Maestro Andrea Bocelli.